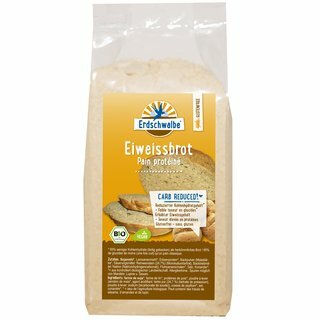 Erdschwalbe High-Protein Bread. Gluten-free, Reduced carbohydrate content. Baking mix 250g-bag. Organic - EG-Öko-cert. 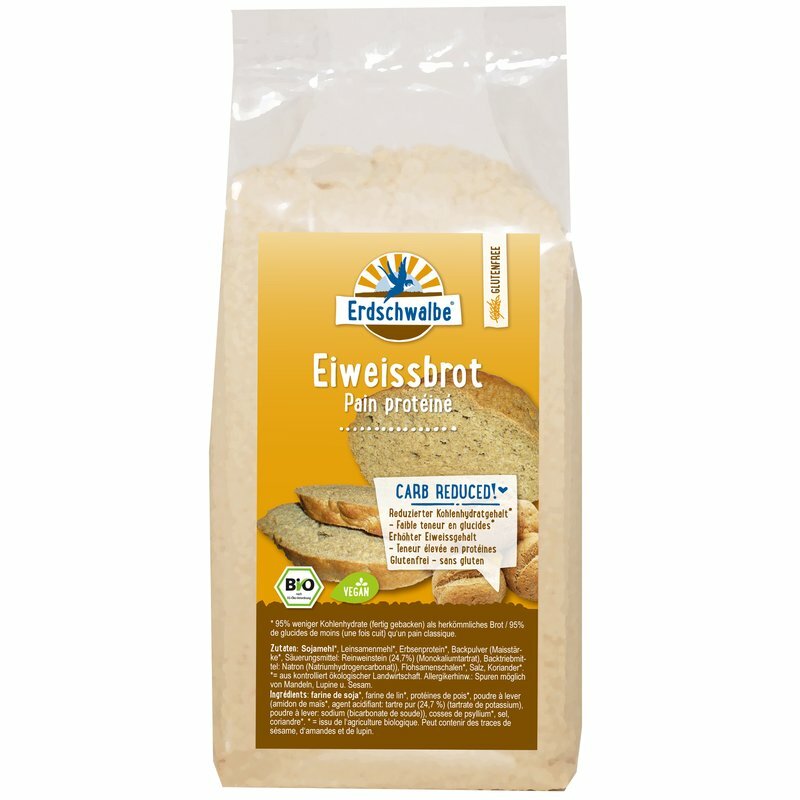 Erdschwalbe High-Protein Bread Gluten-free - Organic bread mix. Reduced carbohydrate content - 95% less carbohydrates (ready baked) than conventional bread. Ingredients: Soy flour*, Flaxseed flour*, Pea protein*, Baking powder*, Psyllium husk*, Salt, Coriander*. *= from certified organic agriculture. Note for allergy sensitive people: may contain traces of sesame and almonds. Preparation: Knead the bread mix with 330ml of cold water in a bowl for 2 minutes using an electric mixer (kneading hook attachment). With wet hands, shape the dough into a loaf or stick. Place the dough on a baking tray covered with baking paper. Leave it to rest for 15 minutes at room temperature. Using a knife, cut 5mm deep lengthwise into the loaf directly before baking, then bake in a preheated oven at 200°C for 60 minutes. Storage: Store the bread mix in a cool and dry space. Lemon Cake. Reduced carbohydrate content. Baking mix 160g-bag. Organic - EG-Öko-cert.